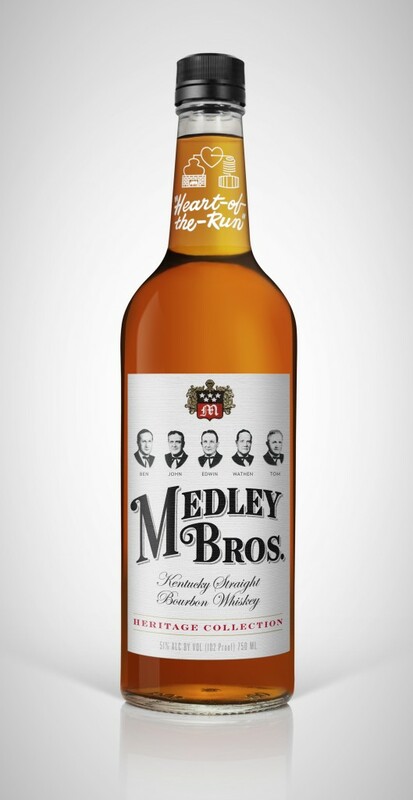 The Charles Medley Distillery tells BourbonBlog.com that they have relaunched Medley Bros. Bourbon. We are the first to bring you this story of the classic Medley Bros. Bourbon returning to the market after some 50 years. 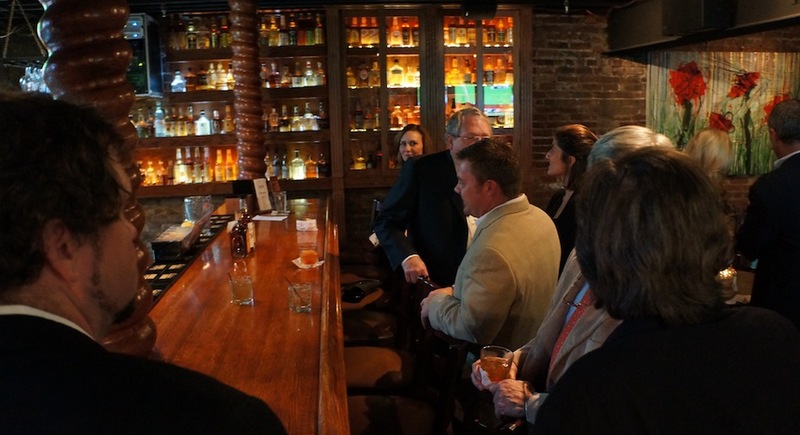 We were the only media present at the official relaunch party at Spirits Bar at The Miller House in Owensboro, Kentucky last night. Medley Bros. is a 102-proof bourbon and will be around $25 a bottle, a lower price point than both Wathen’s Bourbon and Old Medley 12 Year Old. Medley Bros. was a line extension that Wathen Medley (fourth from left on the bottle label) and his brothers produced and sold during the 1940’s and 1950’s. 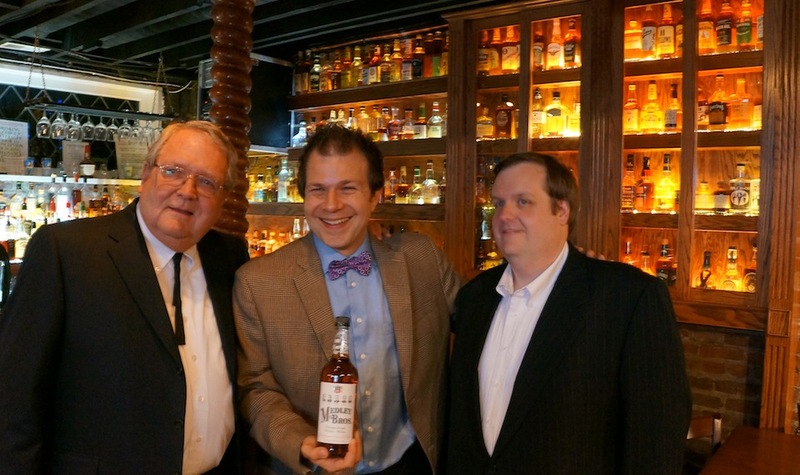 “After Wathen’s Kentucky Bourbon – Single Barrel and Old Medley 12 Yr Bourbon, this is the third heritage brand we have been fortunate enough to return to distribution,” 8th generation distiller Sam Medley tells us. While this Bourbon is higher in proof than most and aimed at the craft cocktail market, smooth cocoa and barrel notes make this delicious both in a cocktail or for a sipper. 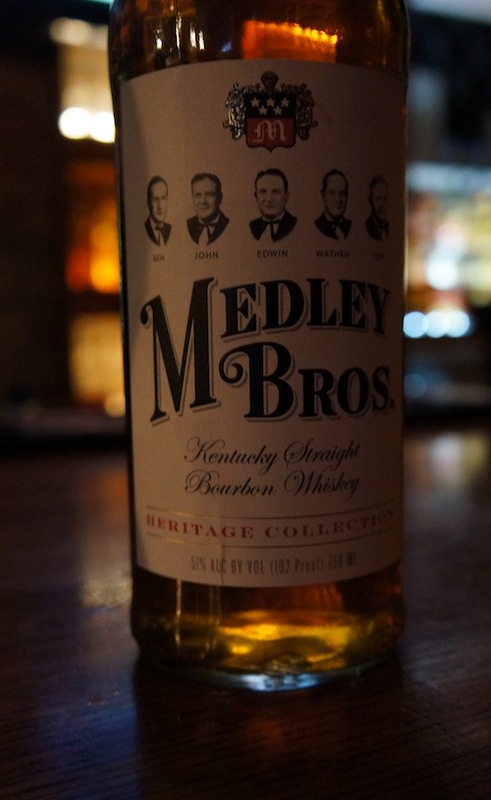 We tasted the Medley Bros. Bourbon last night with many children, grandchildren, cousins and family of the five brothers on the label. Charles Medley addressed the full crowd of guests with, “Most of us are related in this room” as he gave his opening remarks. The label and bottle both are almost exact match to the label and bottle being used by Sam’s grandfather and his brothers when they sold the brand in 1958.
t was an honor to spend an evening with a family that has a passion for crafting some of the best Bourbon on the market. They will only put the highest quality Bourbon in a bottle just as their distilling founding fathers did 200 years ago when they began. Medley Bros. Bourbon will be available this week in Kentucky and also soon in Georgia, South Carolina, New York, Massachusetts, Illinois, Connecticut, and Rhode Island. Congratulations to the Medley family!